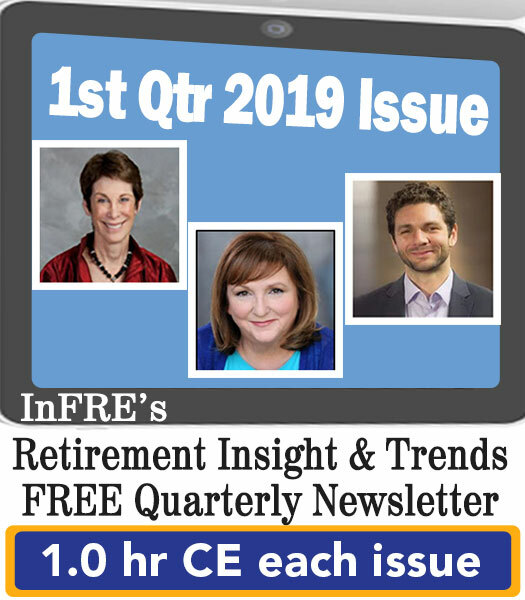 Retirement InSight and Trends is the quarterly newsletter for the International Foundation for Retirement Education’s Certified Retirement Counselors® (CRC®s) to help retirement professionals with the practical application of new retirement readiness, counseling, planning and income management concepts for the mid-market. Find out more about the CRC® and InFRE here. This issue is worth one free CRC®, CFP®, ASPPA, and the American College’s Professional Recertification Program (CLU®, ChFC®, CASL) CE credit upon reading all the articles and successfully completing the online quiz. An email will be sent to you and InFRE upon successful completion (score of 70% or more) of the CE exam. Click here for the Continuing Education Exam that corresponds to this issue. Click here to see other free issues that you may read. Recent issues are eligible for CRC®, CFP®, ASPPA, and other CE credit when you pass the online exam. 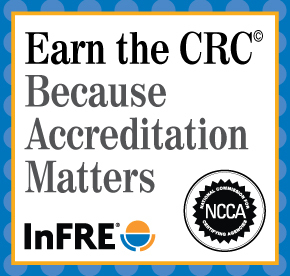 Your score will automatically be sent to InFRE for CRC® credit and/or the CFP Board CFP® credit. 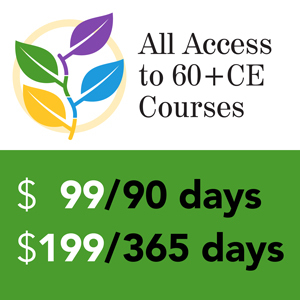 You are responsible for reporting your CE hours for ASPPA recertification and the American College’s Professional Recertification Program (CLU®, ChFC®, CASL). Looking for additional CE opportunities? Visit the continuing education section of the Retirement Resource Center store to find hundreds of additional professional development and continuing education options by leading experts, the way you want to learn, at the level that’s right for you.